Photographs of the renovation of the former Radio-City cinema in Montreal. 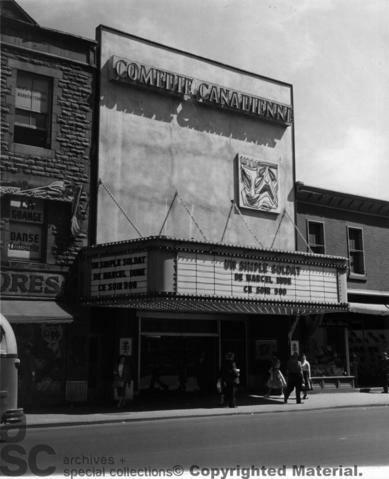 It was purchased by Gratien Gélinas for La Comédie-Canadienne in 1957 and renovated by André Blouin. La Comédie-Canadienne was active from 1958-1969. The company produced Canadian and Québecois theatre, dance and music productions. The company closed down in 1973 and its theatre became the permanent home of the of Theatre du Noveau Monde (http://www.tnm.qc.ca). "La Comédie Canadienne." The Canadian Architect September 1958: 48-52.